Make a memorable masterpiece! Ceramic bisque frame with easel back measures approximately 4” x 4” and has a heart shape photo opening that measures approximately 2-3/8”. Decorating supplies sold separately. 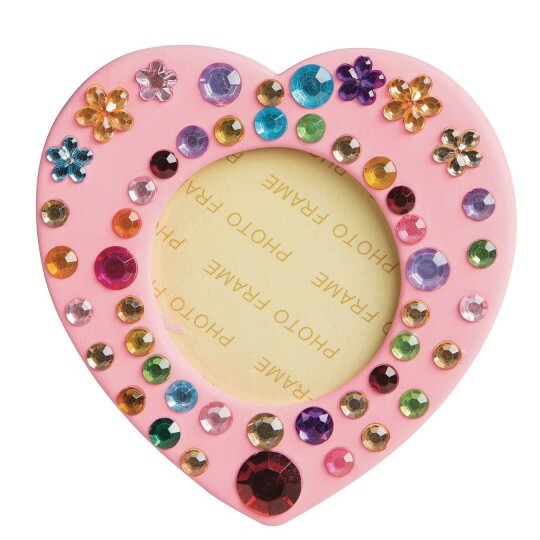 The frames are cute and easy to decorate with a permanent marker. But the overall quality is poor. the glass in the frame is a thin plastic sheet. They were scratched cloudy and dirty. I tried cleaning them but ultimately decided that it was just better to pitch them. Many of the stands did not support the frame. I purchased game card stands for added support. The black backing on many of the frames was not properly aligned and could be seen from the front of the frame and a few of them had to be glued back to the frame. Overall not the quality that I have come to expect from this terrific company. Merchant response: Thank you for your product review. We had our quality team test this and we can't replicate the issues you are having. 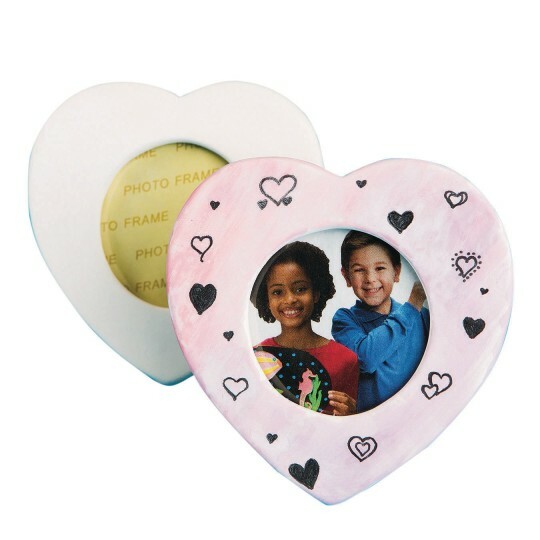 Easy to use!Lots of fun!Nice change from usual wood or paper mache frames we use.Great for all ages!